Pluto Press, 2017. 208 pages. $74.95, hardcover. 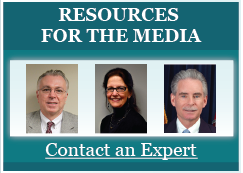 In modern Turkish and Kurdish studies in the last two decades, there has been a wide selection of research on topics such as Turkish secularism and nationalism, Turkish political Islam and conservatism, Kurdish insurgency and political violence, the Turkish Left and Kurdish nationalism, and Turkish Islamism and democratization. However, one specific field has been mostly understudied: the emergence and dynamics of Kurdish political Islam. 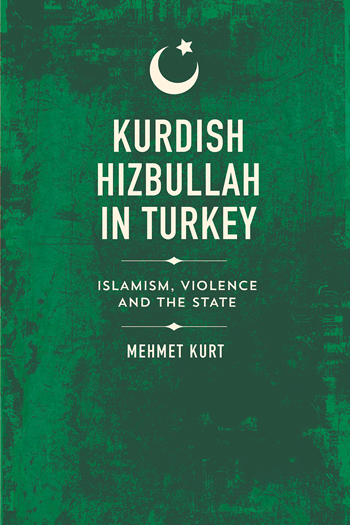 This is where Mehmet Kurt's Kurdish Hizbullah in Turkey: Islamism, Violence and the State fits into the broader literature. Based on extensive ethnographic research along with in-depth interviews, Kurt introduces the organizational dynamics and the ideological and philosophical worldview of Kurdish Hizbullah, i.e., the Party of God. It should be noted that Kurdish Hizbullah should not be conflated with Lebanese Hizbullah, mostly a Shia Islamist group, while Kurdish Hizbullah is predominantly a Sunni Islamist organization. Although Kurdish Hizbullah was influenced and inspired by the Iranian Islamic Revolution, Ikhwan al-Muslimun (the Muslim Brotherhood) in Egypt has been one of the main role models for Hizbullah in Turkey. The book is mostly centered on the question, "What is Hizbullah and how can it be analysed as a form of belonging?" (p.7). In other words, the study is mostly a biographical account of Kurdish Hizbullah and an introduction to its historical emergence and evolution since the late 1970s. Mehmet Kurt contextualizes Kurdish Hizbullah as a militant Islamist clandestine organization with an action strategy (rather than theory and debate) by looking at regional, national and local sociological conditions. First, the emergence of political Islam in the broader Middle East as a reaction to colonialism, secular Arab nationalism and Western modernity in the second half of the twentieth century is discussed in relation to the founding of Kurdish Hizbullah in the late 1970s in the Kurdish town of Batman in southeastern Turkey. The author initially discusses how early Hizbullah members and their late leader, Huseyin Velioglu, read Said-i Nursi (1876-1960), the Kurdish Islamic modernist who inspired the Turkish and Kurdish Islamic movements, political parties and NGOs since the 1970s. Yet, he particularly emphasizes how the top cadres of the organization built the ideology of Hizbullah based on the readings of Hasan al-Banna and Sayyid Qutb of the Egyptian Ikhwan movement and Said Hawwa from its Syrian branch. Moreover, the leading figures of the Iranian Islamic Revolution of 1979, primarily Ayatollah Khomeini and Ali Shariati, seeded the militant, revolutionary and action-based raison d'être of the Kurdish Hizbullah. As Kurt argues, the Kurdish Hizbullah received ideological, organizational and military training by Iran in the 1980s, but the organization hardly became Iran's satellite group in Turkey. Iran's support for Hafez al-Assad in Syria, who crushed the Muslim Brotherhood in the 1982 Hama massacre, disappointed the Kurdish Hizbullah and later distanced the organization from Iran in the 1990s. Iran's pressure to convert Kurdish Hizbullah into a Shia-based organization did not work, either. The second sociological and historical context the author analyses is the relationship of the secular Turkish Republic, based on Western modernization, with Islam and religious groups. Since the Western-oriented secular mind-set of the Turkish Republic did not directly fit with the conservative and traditional Islamic identity, Islamism in Turkey became mostly a grassroots opposition to the state identity within which the National Vision (Milli Görüş) movement emerged in the late 1960s under the leadership of Necmettin Erbakan. The main contemporary Islamist political parties, including Recep Tayyip Erdogan's AKP government in today's Turkey, were mostly born out of the Milli Görüş movement. Many leading figures of the Kurdish Hizbullah were also socialized within Milli Görüş circles in the 1970s, but certain differences — such as seeing the Turkish state as taghut (an authority that seizes God's power and will) in the pan-Islamist discourses — later led to separation among some Turkish and Kurdish Islamists. It should be noted here that this separation within Islamic circles was not necessarily based on ethnic differences (Turkish vs. Kurdish) per se. However, the division within the leftist revolutionary circles in 1970s Turkey was mostly due to different approaches to the Kurdish ethnic identity. The Marxist-Leninist foundation of the insurgent pro-Kurdish PKK (Kurdistan Workers' Party) in the late 1970s was a result of such a division within leftist circles. Still, this does not negate the fact that Hizbullah's religious character was barely independent of its recruitment and mobilization around the ethnic identity of Kurdishness, even though Kurt argues that Kurdish Hizbullah was always hesitant to be labelled as a pro-Kurdish group, especially before the killing of its leader, Huseyin Velioglu, in 2000 by the Turkish state. In fact, the third sociological dimension in which Kurt contextualizes Hizbullah is the strict approach of the Turkish state to the Kurdish question; Kurdish identity and language were historically suppressed. This fact also pushed Hizbullah to embrace its Kurdish character to a certain extent in order to increase its recruitment and mobilization capacity in its central operational region, the Kurdish cities of Turkey such as Batman, Diyarbakir, Bingol and Mardin. Still, Kurt argues that a belonging based on shared interests and values, Islam and Kurdishness, makes up the Hizbullah identity. Kurdishness remains its last layer. Fourth, Kurt looks at the particular political atmosphere and psyche of the Kurdish regions of Turkey in which Hizbullah emerged. Here the rivalry, conflict and power struggle between the Islamist Kurdish Hizbullah and the leftist Kurdish PKK in the 1990s comes into the overall picture. The fact that the PKK mostly embraced an anti-Islamic and secular discourse built on Kurdish nationalism provided Kurdish Hizbullah an opportunity to expand its base among the predominantly conservative and Muslim Kurdish populace in the region. Thus, Hizbullah was able to recruit more young sympathizers from high schools and mosques. The militancy and violence of Hizbullah against the PKK also boosted its rise as a major Kurdish Islamist organization in the region. In the 1990s, since the Turkish state's number-one enemy was the PKK, with its stronger organizational and insurgency capacity in the region, it is widely believed that Kurdish Hizbullah was also supported by the state against the PKK. Finally, based on the aforementioned sociological and historical conditions within which Kurdish Hizbullah emerged and expanded, Kurt also unpacks its evolution from a militant clandestine organization in the 1980s and 1990s toward a legal-civil group in the 2000s represented under the umbrella of Hür Dava Partisi (the Free Cause Party), mostly known as Hüda-Par (the Party of God in Kurdish). Although the militant Hizbullah aimed to overthrow the secular Turkish state and establish God's rule, Hüda-Par today seeks to promote a pro-Islamic and pro-Kurdish agenda within the legal political sphere. In fact, Kurt claims that many radical Salafists within Hizbullah who reject the legalization of the movement joined the Islamic State and Al-Nusra in Syria after civil war broke out in 2011. Overall, this mostly Sunni-based Islamist party remains politically much weaker than the more secular and left wing Kurdish party, the Peoples' Democracy Party (HDP), which speaks to the similar social base of the militant PKK. This book offers a rich descriptive account of Kurdish Hizbullah in Turkey based on strong ethnographic research. It would be theoretically stronger if the study had unpacked the interplay between Islam and Kurdish nationalism more deeply, particularly by looking at other Kurdish Islamic groups in the broader Kurdish Middle East, such as the Kurdistan Islamic Union (Yekgirtu) and the Kurdistan Islamic Group (Komal) in Iraqi Kurdistan. Moreover, the book could have provided a deeper analysis with regard to the conditions under which individuals are more likely to be attracted by religious Kurdish nationalism rather than secular Kurdish nationalism. Further research in this field should entail the role of Islam in fostering the Kurdish nationalism, such as the functions of the Naqshbandi and Qadiriyya orders, on the one hand, and the role of Kurdishness in the making of political Islam in the Kurdish Middle East, on the other. Overall, Kurt's introductory study still delivers a fascinating account of the organizational and ideological background of Kurdish Hizbullah and the basics of Kurdish political Islam.